Supply and demand remained the key market trends for November with the newly-added residential units for the month surging to 1,890 through completion of six new projects in Dubai and one each in Abu Dhabi and Sharjah, said a report. The fresh residential supply for November saw four projects completed in Business Bay, which added 633 new apartment units to the emirate, according to a report by Property Finder, a leading real estate portal in the region. Besides this, a key project in Al Barsha added 576 units to the total along with another 223 apartments through a Dubai Marina property completion, it stated. The UAE capital Abu Dhabi saw completion of one project in Marina Bloom housing 225 apartments, while in the Northern Emirates, Sharjah added 233 new villas to the property market through its Al Zahia development. According to the report, the number of completed residential units to date rose to 19,881 compared to 17,500 units in total last year. 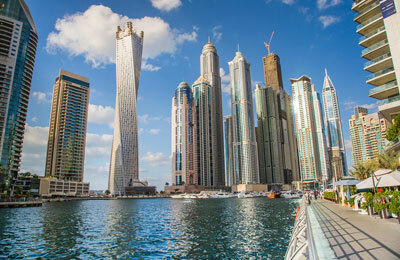 Transferred sales saw the most activity in International City, Burj Khalifa area and MBR City, it added. Proprietary data from Property Finder revealed that the most 'in demand' property hotspots in Dubai were Palm Jumeirah, Dubai Marina and Downtown Dubai, while Abu Dhabi saw most of the property searches were centred in and around Al Reem Island, Al Raha Beach and Khalifa City, said the report by Property Finder.